Biosecurity is the economic, environmental and community protection from serious damage of pests, diseases and weeds. This includes things like disease control in livestock and protecting the local fruit and vegetable industry from pests and diseases. An iconic Territory research facility is inviting past and present stakeholders to help it mark half a century of achievement. The Legacy Mines Unit of the Department of Mines and Energy (DME) awarded a tender to local company EcOz Pty Ltd to conduct a baseline weed survey of the Goodall Legacy Mine site and surrounds. The Department of Mines and Energy each year offers a three-year scholarship for a young Territorian to undertake university study in earth science, mining, petroleum engineering or metallurgy. 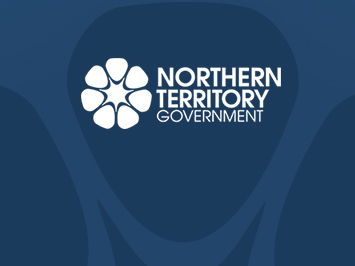 The Northern Territory Biosecurity Strategy 2016-2026 was released today. Pangaea (NT) was granted adjoining Petroleum Exploration Permits to the south of Katherine including a portion of the permit within the Katherine Municipal boundary. Pangaea has advised that its geological assessment has confirmed that the northern part of the exploration permit EP‐167 is not commercially prospective for oil or gas. An Asian honey (Apis cerana) bee hive has been found at the port in Townsville, Queensland. Scientific analysis of the bees has confirmed that two varroa mites (Varroa jacobsoni) were present on two of the bees. The Australian Bureau of Agriculture and Resource Economics and Sciences (ABARES) is hosting its free 2016 Regional Outlook in Darwin.